Microcom configurations use a variety of grounding schemes, all based on the static dissipation. In addition to the structural dissipation, Micrcom configurations make use of trasient protection on the DCP terminal boards (SI-5) and Polyphaysers® for antenna connection. 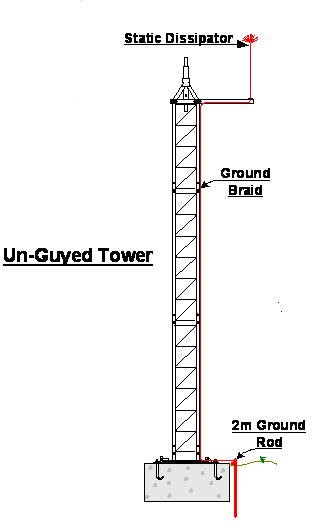 All grounding is configured for the local conditions and as stipulated in the customer’s requirement. The illistrations shown here depict some of the various schemes available, for three different structures types.